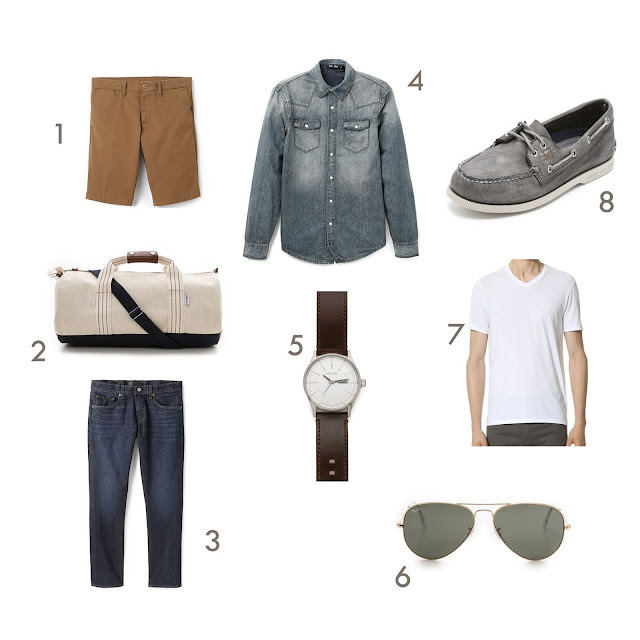 I've decided to do a post about men's summer looks. I love dressing up myself and dressing up other people too. So here are my picks from East Dane for summer. They're the mens version of Shopbop. I picked out some very casual pieces for this summer capsule. Since it's summer there's a lot of traveling involved. A duffle bag is definitely one accessory to the the look. Those perfect classic sunglasses will give that laid back, effortless handsome look too. With the right garments you can mix and match these pieces and come up with great outfits for this season.